Harvey Norman has just released its online website focusing on selling online with a group buying strategy called “big buys”. 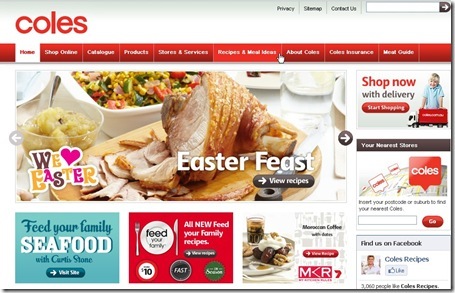 Dicksmith , JB HI-Fi, and Coles have also spruced up their act and Online websites. Research demonstrates that one of the main reasons Australians buy online from overseas-based sellers is due to many popular products not being offered online locally.Turnover for the top 2,000 Australian businesses on eBay.com.au grew by 38 per cent in 2010, clearly demonstrating that consumers have a robust appetite for domestic goods and for purchasing online. 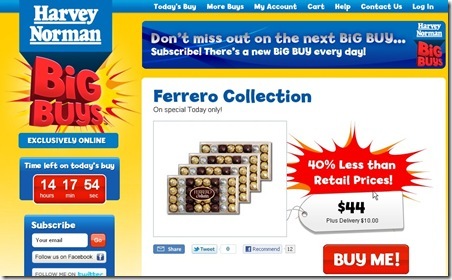 Harvey Norman BiG BUYSTM offers you a fantastic new deal online every day. Harvey Norman BiG BUYS offers are available for a limited time only. It works on a countdown timer and stock is usually limited; a low stock message will appear when stock is almost gone. Once stock is gone, or the countdown has finished, you cannot purchase that day’s special anymore. 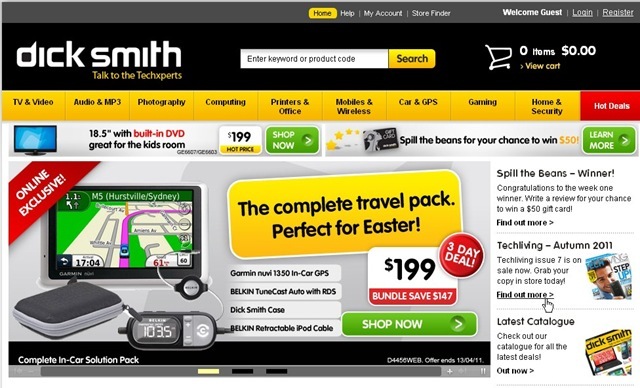 Dicksmith electronics which can be browsed at www.dse.com.au has got a convenient click and collect new buying method for customers , the customers can reserve a product online without payment and then pay and collect the product in store. David Jones launched its online retailing website in November 2010 as a record high Australian dollar was enticing local consumers onto overseas websites. The four-year-old study has found that while 82% of global retailers have some form of online catalogue , Australia has only 75% of its retailers having a online catalogue. The countries with the highest proportion of retailers that can deliver goods bought online were the UK (at 44%), the US (39%) and France (38%).